Properties in Ohope average 4.6 out of 5 stars. 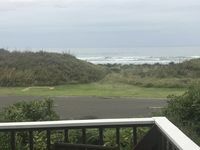 Property 7: Ohope Beach paddlers paradise!! Property 10: Stunning seaside retreat on Ohope Beach. Property 16: Ocean front home at Ohope Beach. Modern 5 Bedroom Beach House in Ohope! 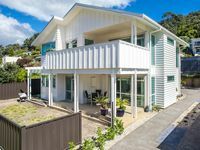 Property 28: Modern 5 Bedroom Beach House in Ohope! The Little Pipi 1950's character bach Free Wifi . Property 41: The Little Pipi 1950's character bach Free Wifi . A great spot right by the beach. The house had everything we needed. Will definitely come for another holiday! Nice house and a great time was had by all.